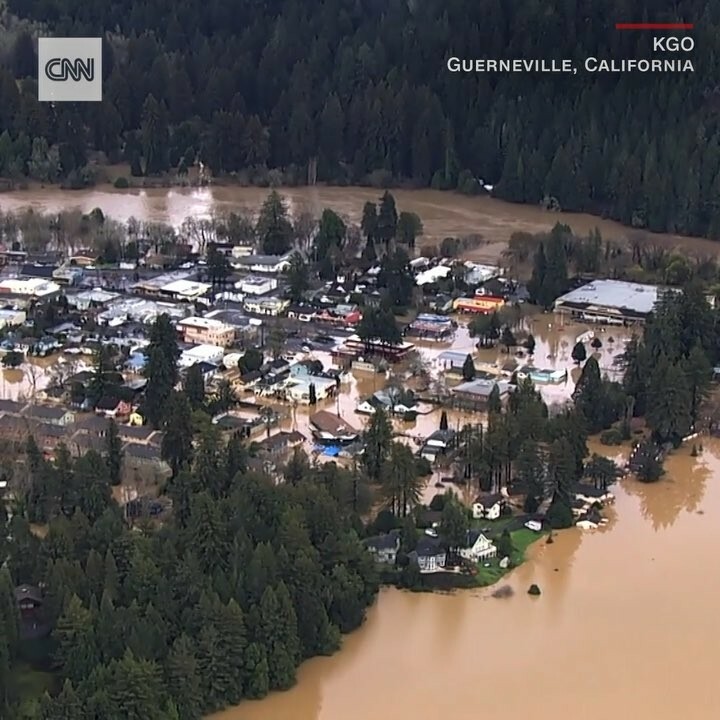 Flooding in Northern California has turned the town of Guerneville into an island after the nearby Russian River rose to its highest level since the 1990s. The roads leading to the town were cut off, and roughly 2,000 buildings and homes were flooded to some degree. No injuries were reported, but police encouraged residents to heed evacuation orders. More rain was in the forecast the weekend.